TOYOTA AVENSIS (_T25_) 2.0 (AZT250_) Hatchback Petrol 03/2003 11/2008 FWD 16 147 108. TOYOTA AVENSIS Estate (_T25_) 2.0 (AZT250_) Estate Petrol 04/2003 11/2008 FWD 16 147 108. TOYOTA AVENSIS Saloon (_T25_) 2.0 (AZT250_) Saloon Petrol 04/2003 11/2008 FWD 16 147 108. TOYOTA AVENSIS (_T25_) 1.8 (ZZT251_) Hatchback Petrol 03/2003 10/2008 FWD 16 129 95. TOYOTA AVENSIS Estate (_T25_) 1.8 (ZZT251_) Estate Petrol 04/2003 11/2008 FWD 16 129 95. TOYOTA AVENSIS Saloon (_T25_) 1.8 (ZZT251_) Saloon Petrol 04/2003 11/2008 FWD 16 129 95. TOYOTA AVENSIS (_T25_) 1.6 VVT-i (ZZT250_) Hatchback Petrol 04/2003 11/2008 FWD 16 110 81. TOYOTA AVENSIS Estate (_T25_) 1.6 VVT-i (ZZT250_) Estate Petrol 04/2003 11/2008 FWD 16 110 81. TOYOTA AVENSIS Saloon (_T25_) 1.6 VVT-i (ZZT250_) Saloon Petrol 04/2003 11/2008 FWD 16 110 81. Removed from 2004 Toyota Yaris Verso T-Spirit D-4D, 1.4 Diesel, 75 BHP, 5 Speed manual, Paint code 1E7-"Silver Streak". Channel Islands. Is in its original condition - full inspection will be done. IV, HS, KA27-28, KW, PA20-49, PA60-78, PH17-26, PH30-44, ZE, BT, IM, TR21-25, AB, GY, JE, SCOTTISH HIGHLANDS. FULLY TESTED BEFORE REMOVED. BEFORE BUY IT NOW. LAMBDA SENSOR. TOYOTA VERSO S (NLP12_, NCP12_, NSP12_) 1.4 D4-D. BOSCH WIPER BLADES & MOTOR. CHAMPIONS WIPER BLADE. APEC WHEEL BRAKE CYLINDER. APEC BRAKE DISC & PADS KIT. BOSCH IGNITION & FUEL PARTS. DUAL MASS FLYWHEEL. TOYOTA COROLLA (_E12J_, _E12T_) 1.4 D4-D. BOSCH WIPER BLADES & MOTOR. CHAMPIONS WIPER BLADE. APEC WHEEL BRAKE CYLINDER. APEC BRAKE DISC & PADS KIT. BOSCH IGNITION & FUEL PARTS. 2 Year Warranty Bosch High Pressure Pump. Toyota Avensis Verso _CLM2_, _ACM2_ [2001-2009] MPV 2.0 VVT-i (1998ccm 150HP 110KW Petrol). Toyota Corolla _E11_ [1997-2001] Estate 1.8 4WD (1762ccm 110HP 81KW Petrol). Toyota Corolla _E12J_, _E12T_ [2001-2007] Estate 1.4 VVT-i (1398ccm 97HP 71KW Petrol). Will fit many different TOYOTA models like AURIS COROLLA IQ VERSO S. TOYOTA AURIS (_E18_) 1.4 D-4D (NDE180_) 66 90 1364 — 2012.10 —. TOYOTA AURIS TOURING SPORTS (_E18_) 1.4 D-4D (NDE180_) 66 90 1364 — 2013.07. 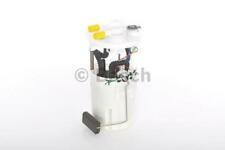 Fuel Pump In tank 058030F001 Bosch. Part Number 058030F001. TOYOTA AVENSIS (_T25_) 2.0 (AZT250_) Hatchback Petrol 03/2003 11/2008 FWD 16 147 108. TOYOTA AVENSIS Estate (_T25_) 2.0 (AZT250_) Estate Petrol 04/2003 11/2008 FWD 16 147 108. TOYOTA LAND CRUISER Injection Pump 0460423006 3 01/02-. BOSCH WIPER BLADES & MOTOR. TOYOTA LAND CRUISER (LJ12_, KDJ12_, KZJ12_, GRJ12_, TRJ12_) 3 D-4D (KDJ120, KDJ150, KDJ125). CHAMPIONS WIPER BLADE. APEC BRAKE DISC & PADS KIT. TOYOTA COROLLA (NRE18_, ZRE17_, ZRE18_, NDE18_) 1.4 D-4D. BOSCH WIPER BLADES & MOTOR. CHAMPIONS WIPER BLADE. APEC WHEEL BRAKE CYLINDER. APEC BRAKE DISC & PADS KIT. BOSCH IGNITION & FUEL PARTS. 2 Year Warranty Bosch High Pressure Pump. Distributor Pump, Intake Manifold Injection/ Carburettor. BOSCH WIPER BLADES & MOTOR. CHAMPIONS WIPER BLADE. APEC BRAKE DISC & PADS KIT. BOSCH IGNITION & FUEL PARTS. 2 Year Warranty Bosch Injection Pump. 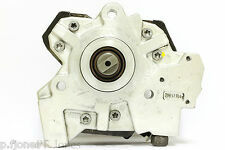 TOYOTA LAND CRUISER Injection Pump 0460423008 3 01/02-. BOSCH WIPER BLADES & MOTOR. TOYOTA LAND CRUISER (LJ12_, KDJ12_, KZJ12_, GRJ12_, TRJ12_) 3 D-4D (KDJ120, KDJ150, KDJ125). CHAMPIONS WIPER BLADE. APEC BRAKE DISC & PADS KIT. REMOVED FROM A 2004 MINI COOPER 1.4 DIESEL. ALL PARTS ARE REMOVED FROM RIGHT HAND DRIVE UK SPEC VEHICLES UNLESS STATED OTHERWISE. ALL OF OUR ENGINES ARE SOLD AS BARE BLOCK AND HEAD UNLESS STATED OTHERWISE. In fuel tank Electric with add-on material, Intake Manifold Injection/ Carburettor. Hatchback / Petrol / Front Wheel Drive. TOYOTA STARLET (_P8_) 1.3 12V (EP81). BOSCH WIPER BLADES & MOTOR. CHAMPIONS WIPER BLADE. BOSCH 0445010106. MINI ONE R50 TOYOTA YARIS 1.4 DIESEL HIGH PRESSURE FUEL PUMP. NORTHERN IRELAND. All parts are marked for identification purposes. In fuel tank Electric with add-on material, Intake Manifold Injection/ Carburettor. Hatchback / Petrol / Front Wheel Drive. TOYOTA COROLLA (_E11_) 1.4 (EE111_). BOSCH WIPER BLADES & MOTOR. CHAMPIONS WIPER BLADE. The fuel pump was in full working condition when it was taken out of the car. TOYOTA AVENSIS Fuel Pump 0580453484 1.8 01/97-01/03. in fuel tank Electric without add-on material, Intake Manifold Injection/ Carburettor. TOYOTA AVENSIS (_T22_) 1.8 VVT-i. Hatchback / Petrol / Front Wheel Drive. TOYOTA AYGO (_B4_) 1.0 (KGB40_) Hatchback Petrol 05/2014 on FWD 12 69 51. TOYOTA AYGO (_B1_) 1.0 (KGB10_) Hatchback Petrol 07/2005 on FWD 12 68 50. TOYOTA AYGO (_B4_) 1.2 (PAB40_) Hatchback Petrol 05/2014 on FWD 12 82 60. FITS TOYOTA COROLLA COMPACT, LIFTBACK, WAGON/YARIS, VERSO/VITZ (1997-2005). BOSCH ELECTRIC FUEL PUMP. FITTING POSITION: IN FUEL TANK. TOYOTA SUPRA Fuel Pump 0440008029 3 01/86-01/93. Coupe / Petrol / Rear Wheel Drive. TOYOTA SUPRA (JZA70_, GA70_, MA70) 3 Turbo. BOSCH WIPER BLADES & MOTOR. CHAMPIONS WIPER BLADE. BOSCH IGNITION & FUEL PARTS. Toyota Avensis T25 [2003-2008] Estate 1.6 VVT-i (1598ccm 110HP 81KW Petrol). Toyota Avensis T25 [2003-2008] Estate 1.8 (1794ccm 129HP 95KW Petrol). Toyota Avensis T25 [2003-2008] Saloon 1.6 VVT-i (1598ccm 110HP 81KW Petrol). Toyota AURIS (_E15_) 1.6 1.6 L / 1598 cc 2007.03 - 2012.09 91 Kw / 124 HP. Toyota AURIS (_E15_) 1.6 1.6 L / 1598 cc 2009.05 - 2012.09 97 Kw / 132 HP. Toyota COROLLA Saloon (_E15_) 1.6 1.6 L / 1598 cc 2009.01 - 97 Kw / 132 HP Engine Number: TOYOTA 1ZR-FAE,Construction year to: 04.2010. FOR TOYOTA COROLLA III. Fitting Position:in fuel tank. This is an original quality part manufactured by Bosch. Vehicle compatibility. Part specifications. TOYOTA AVENSIS Estate (_T25_) 1.6 VVT-i (ZZT250_) 04/2003 -. TOYOTA AVENSIS Estate (_T25_) 1.8 (ZZT251_) 04/2003 -. TOYOTA AVENSIS Saloon (_T25_) 1.6 VVT-i (ZZT250_) 04/2003 -. TOYOTA AVENSIS Saloon (_T25_) 1.8 (ZZT251_) 04/2003 -. DAIHATSU CHARADE 1.33 16V 05/2011 -. DAIHATSU 770200D130. TOYOTA YARIS (_P9_) 1.0 VVT-i (KSP90_) 01/2005 -. TOYOTA YARIS (_P9_) 1.33 VVT-i (NSP90_) 11/2008 -. TOYOTA YARIS (_P9_) 1.33 VVT-i (NSP90_) 07/2010 -. PART NUMBER 0580313069. IF THERE ARE PART NUMBERS IN THE ADVERT, THEY'RE THERE FOR A REASON. THIS MUST BE CHECKED PHYSICALLY AGAINST THE PART YOU ARE REPLACING. IF IT DOES NOT MATCH THEN IT IS MORE THAN LIKELY WILL NOT WORK ON YOUR CAR. Toyota AVENSIS (_T25_) 2.0 2.0 L / 1998 cc 2003.04 - 2008.11 108 Kw / 147 HP. Toyota AVENSIS Estate (_T25_) 2.0 2.0 L / 1998 cc 2003.04 - 2008.11 108 Kw / 147 HP. Toyota AVENSIS Saloon (_T25_) 2.0 2.0 L / 1998 cc 2003.04 - 2008.11 108 Kw / 147 HP. TOYOTA COROLLA Liftback (_E11_) 1.4 (EE111_) 04/1997 -. TOYOTA COROLLA Liftback (_E11_) 1.4 (ZZE111_) 02/2000 -. TOYOTA COROLLA Liftback (_E11_) 1.6 (AE111_) 04/1997 -. TOYOTA COROLLA Liftback (_E11_) 1.6 Aut. Daihatsu Charade -- [2011-2013] Hatchback 1.33 16V (1329ccm 99HP 73KW Petrol). Toyota Yaris/Vitz _P9_ [2005-] Hatchback 1.3 VVT-i (1298ccm 87HP 64KW Petrol). Toyota Yaris/Vitz _P9_ [2005-2017] Hatchback 1.0 VVT-i (998ccm 69HP 51KW Petrol). F 000 TE1 394. AVENSIS VERSO (_CLM2_, _ACM2_) 2.0 VVT-i 1998 150 110 2001-08-01 - 2009-11-01 1AZ-FE. COROLLA Saloon (E15_) 1.8 VVTi 1794 137 101 2006-11-01 - 1ZZ-FE. COROLLA Saloon (E15_) 1.8 VVTi 1798 132 97 2008-01-01 - 2ZR-FE. TOYOTA AYGO (_B1_) 1.0 GPL (KGB10_) 07/2005 -. TOYOTA AYGO (_B4_) 1.0 (KGB40_) 05/2014 -. TOYOTA AYGO (_B4_) 1.2 (PAB40_) 05/2014 -. TOYOTA AYGO (_B1_) 1.0 (KGB10_) 07/2005 -. PEUGEOT 1525 GE. CITROËN/PEUGEOT 1525GE.